If you are a pet parent, you may already be familiar with the struggles of training your dog to sit, heal, stay and well, obeying to you. If you are a pet parent and are looking for a teacher for your baby, keep this list handy. A very well-known name in the pet circuit, Rohini Fernandes will have your pet go from ‘I-will-eat-your-furniture’ to a well-behaved pupper. She has seven programs – Pawfect Puppy, Pawfect Junior (6 months plus), Pawfect Senior (6 months upwards), Single Command Classes, Problem Paws, Smarty Paws and Healing Paws for you to enroll doggo in. Tanya Patel is based out of Khar and deals with dog aggression, behaviour modification and obedience training. If your dog has been exhibiting a behavioural change of late, give Tanya a call or send her a message on her Facebook page. Rajvi Mariwala is a revered name when it comes to dog obedience. She teaches general obedience commands, moving onto advanced levels of training. Her speciality is training the dog to be your true companion, being able to travel, sit in a cafe, or in your local pub. Good behaviour inside and outside the house, as well as working on behaviour and aggression issues. You can check out her Facebook page. Email her on citizenk9india@gmail.com for an appointment. PS: She gives discounted sessions to indie dog owners, which we think is pretty awesome! Shell Out: INR 1,700 onwards. Based out of Thane, Action Dog Services has a three-month obedience program where they teach your dog 18 basic commands, and the trainer comes for 12 classes a month. Action Dogs Services Pvt. 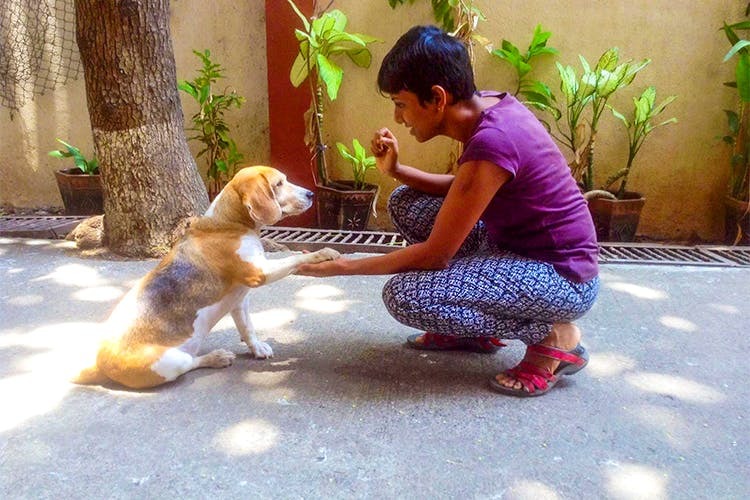 Ltd.
A renowned trainer and behaviourist based out of Cuffe Parade, she will help you with everything from breed consultation to puppy training. She also deals with aggressive and disobedient dogs. She enjoys training dogs for agility and also teaches them advanced tricks (her dog Pantu fetches a water bottle on command). Covering areas between Cuffe Parade and Worli, you can follow her on Instagram. Shell Out: INR 1,500 upwards.